The Sydney Bus Museum held its celebration of 30 years of the State Transit Authority in New South Wales on Sunday 17th March, 2019. There was a vast array of interesting vehicles on show. 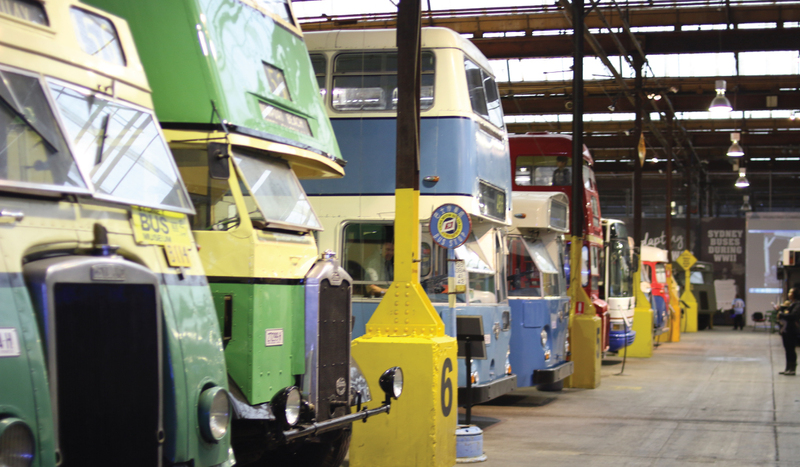 The museum showed off dozens of examples of different public transport used over the last century. The museum originally opened in Tempe in 1986. It is now located in the old Tram Sheds at the end of an unassuming little back street in Leichhardt. It backs onto the large Leichhardt bus depot in Derbyshire Road. Unless you are looking for it, you would not even know it was there. On arrival, I was greeted by an older gentleman who was cramped in a wooden ticket box. We quickly engaged in polite conversation. Hunched in a confined wooden space, the fellow spoke with such passion and affection regarding the exhibition that I had become even more eager to step inside. With a glint in his eye, this man who volunteers his time, welcomed me most warmly to the exhibition. From the foyer alone, I was confronted with numerous vehicles of different shapes and sizes, from different eras; a jungle of mechanical art. The first vehicle to greet me was an old post truck. The narrow tyres and high wheel arches at the front of the vehicle give me a glimpse of what to expect inside. I started the morning experience with a local run in one of the buses from the museum, which has two local runs using the old buses starting from 10 a.m. I took the double decker bus that was headed to the Queen Victoria Building. The driver was a young fellow, in his late 20s. The authenticity of this vintage style ride was complemented by the young man’s ‘Buddy Hollie’ style glasses. In addition to this, the signage also took me back in time, which read that a fine of $20 will be issued if you were caught riding in the platform at the back door - cheaper than daily commute for most people in Sydney. The roofline inside the bus was very low. Even a lady of 5”2’, petite by any standard would have to duck to get down the aisle to take a seat. There are no loops hanging from the roof to hold on to. Only the rounded corners of the seat backs give standing customers anything to hold on to. These little so-called handles to hold on are necessary. The ride is rough and bumpy. 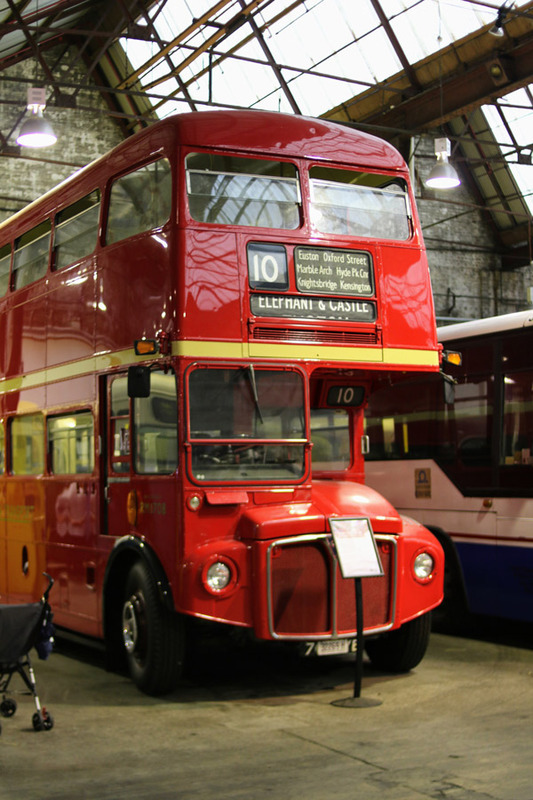 The technology that makes modern buses safe and smooth was the stuff of science fiction when this bus rolled out of the manufacturers with fresh new paint. I happily overlook this because of the nostalgia of the ride. Looking through the old glass window panes, it seems like the modern street signs and traffic lights are the ones that are out of place, not the old bus. I look back and the man that was cramped inside the ticket box has taken his place as the conductor for the ride. He is standing at the back door of the bus as if guarding that doorway was the most important task in the world. He stares out the open door with the cool breeze and rain pushing back what is left of the hair on his head. Despite what would otherwise be a miserable trip, he is in his happy place. As we pull in to the QVB, the quaint horn blasts to let pedestrians know that the bus is coming in to the stop. The conductor hollers in an authoritative voice, “Queen Victoria Building...”. With a blow of his whistle, we are on our way back to the museum again. The trip concludes with the same booming voice telling us “Sydney Bus Museum... All out. All change.” I make my way out with a juvenile grin on my face. I wanted to stay on and go around again. Once I made it into the main part of the museum I was pleasantly surprised at just how much was crammed in there. The museum boasts over seventy vehicles ranging from the early 1900s right up to the modern day Mercedes. As I wandered round I overheard a running joke about Bus No. 2000 that it is the worst bus in the fleet because it spends its whole life in the workshop. aiWhat also surprised me was how child friendly the museum is. There are numerous signs and announcements inviting guests to sit in the driver's seat and have photos taken for almost all of the buses on show. It is a credit to the volunteers that they maintain the buses to a standard that allows children to clamber in and smile long enough for parents to find the camera on their mobile phones. There were two vehicles that stood out to me on the day. The first was the Ford Austerity. 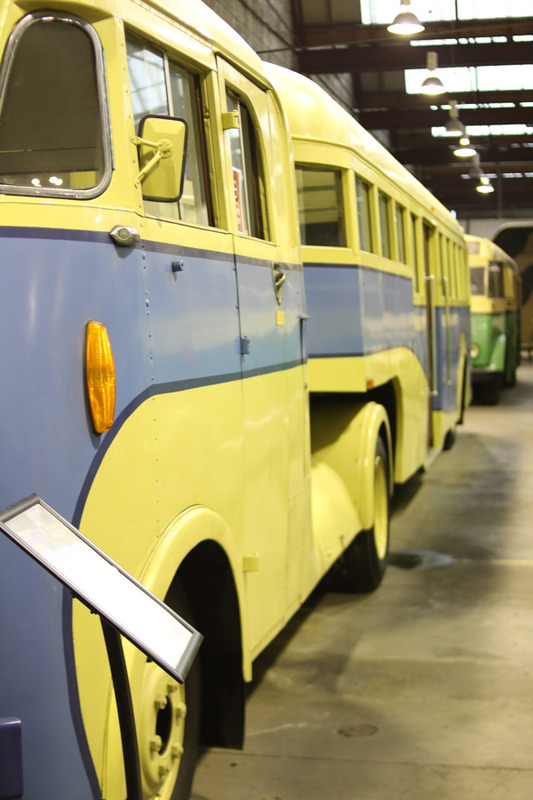 The one on display was used during World War 2 and ended up as a school bus in western NSW. Despite having the design features of an oversized bread box on wheels, it is very spacious inside. I can picture young men that would have been my grandfathers generation with army packs slung into the centre of the bus travelling long distances slouched into the seats. The second was the white semi-trailer bus. I had often wondered if such a vehicle could be made. It turns out that it can. The only modern day equivalent that can match the length of a semi trailer is the articulated bus or “bendy bus”. I sat down with a hot dog and a drink from the van parked inside the shed and watched and listened as people wandered through the museum. Everyone that I could see managed to see something that sparked intrigue in them. I made my way back through the pouring rain to my car. It seemed incredibly modern with its synchromesh gearbox, power steering and air conditioning. But a small part of me couldn’t help but think that we have managed to lose something over time. I’m looking forward to going back with my children. Even though they definitely do not share my love of heavy vehicles (and they remind me of that regularly), I’m sure they will find something of interest in there. The museum is open every first and third Sunday of the month and I encourage all to visit and take a step back in time.